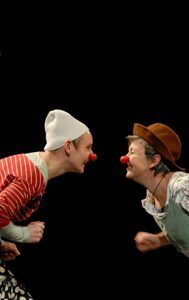 Clown 2 is a pre-requisite for Clown 3, Towards Performance and Social Clowning. Special guest facilitator for this workshop is Carol Thompson. This workshop will be held in English. Anmeldung mit Anzahlung €120 per Überweisung. (Wahlweise Gesamtkursgebühr) Verwendungszweck Clown 2 2018.Vor Workshopbeginn wird der Restbetrag fällig. Carol is Canadian and lives in London. She brings a sunny and positive disposition to her work, her play, her life. She has been a drama teacher, an actor, a therapeutic counsellor, a laughter leader and since 2006 a clown and clowning facilitator. For Carol, clowning felt like a combination and culmination of all she’d ever done in education, theatre and psychology. 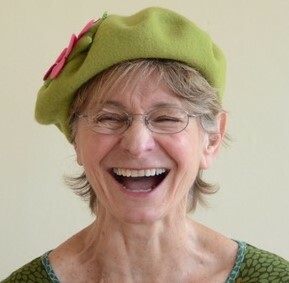 Carol trained as a facilitator with Nose to Nose in the UK. She has taken clowning to Ireland, Scotland, England, France, Italy, Germany, Poland, India and Canada. Carol believes that the topsy turvy world of the clown, where anyone can be authentic, vulnerable and playful, is vital to living a healthy and heartfelt life!